Apple today introduced a new App Store Connect app, which appears to be a replacement for the existing iTunes Connect app. iTunes Connect is, however, still available from the iOS App Store at this time. 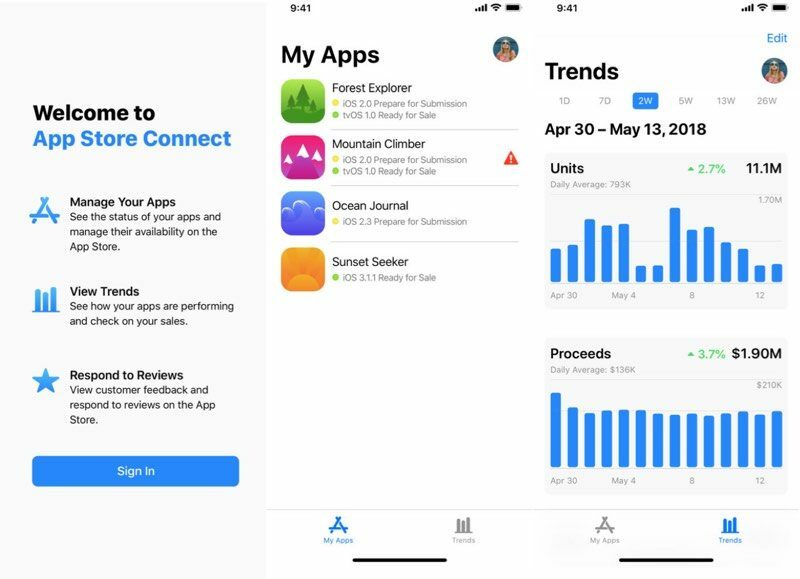 App Store Connect allows developers to manage their app, see analytics trends, and respond to App Store reviews, features that are also available in iTunes Connect. It is about time! Hopefully this will be an improvement over over that thing they call an "app" for developers.